What Is the Purpose of the Ecoline 350kg Steel Sack Truck? This steel sack truck has a weight capacity of 350kg. There are plastic safety handles to protect the user from damaged knuckles. 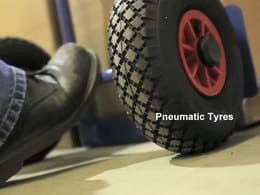 The wheels are cushioned rubber or pneumatic tyres that offer a resistance free movement. Each truck is powder coated and painted in an epoxy blue coating. You can choose a colour form anything in the RAL range, a European Standard colour chart to ensure a standard across all industries and fields. Select the colour upon choosing the model. See the catalogue for further options in this truck range. 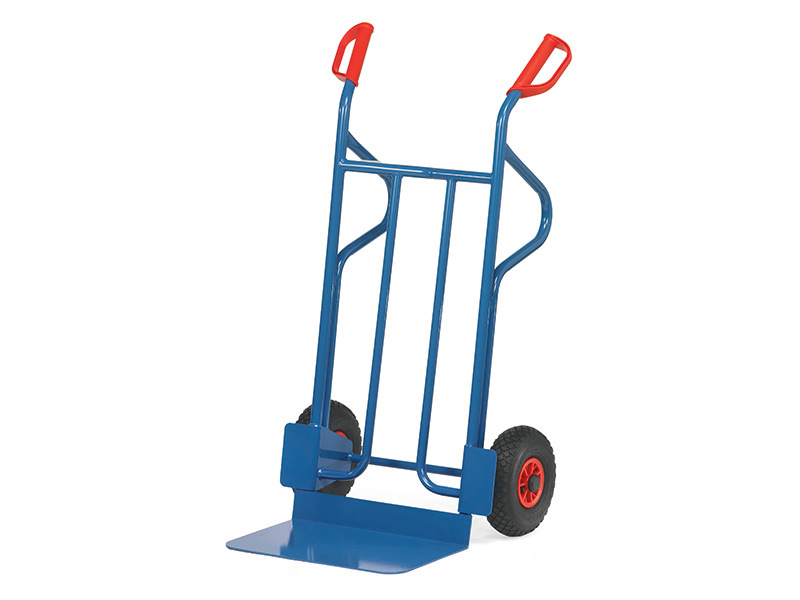 This sack trolley has the dual purpose of remaining in a location to be used in stores, offices, delivery centres, supermarkets, white goods stores, or anywhere else that requires moving and shifting of goods. The trucks are also mobile so they can be packed into the back of a van, or a delivery truck to make the job easier. 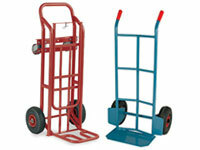 Each Ecoline Steel Trolley has a 350kg weight capacity. Each truck has a powder-coated blue epoxy finish. This is our standard colour; however, there are many colours available in the RAL range. Each sack truck also has a 10 year warranty on all parts and labour.